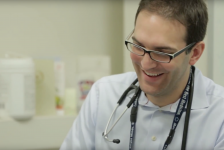 An Interview with Don Melady about his experience in making Mount Sinai Hospital's emergency department a leader in senior-friendly emergency Medicine. How did this idea of a senior-friendly emergency department get started? DON: An awareness that older patients are part of the core business of EDs – the three main groups that MDs/hospitals have always focused on are children, pregnant women and old people, and yet our training and the way we organize our EDs suggest that we are always surprised when an older person with typical older person problems arrives in our ED! The ED chief at our hospital, Dr. Ovens, has commented that EDs and health care systems change for one of two reasons – either because they want to lead or because they don’t want to be left behind. I guess I would challenge ED leaders, doctors and nurses, to decide which group they want to be in. 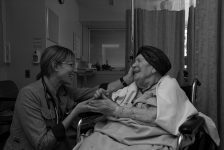 At Sinai, the impetus to make our ED more senior-friendly came out of our commitment to good care of vulnerable populations – pregnant women, street people, substance users, people with mental illness, etc., — and an early recognition that older people are an identifiable vulnerable population. It also was supported by our chief’s role as provincial lead of the Reduced ED LOS/Reduced ALC programme – and an awareness that if admitting all complex older people is our only strategy for managing them then our hospital is going to be over-full all the time. By “working smarter” in the ED we can reduce the number of admits, improve flow (because there are not so many people waiting for beds) AND provide better care for older people. And it’s important to remember that senior-friendly change is a slow incremental accretive process – not a single decision or act but a long process of quality improvement, adding one change at a time which slowly over ten years has made a big difference. I think that is a key message to “late adopters” – that there is no one single best solution. Just start making changes that prioritize the needs of older people and your staff’s needs to provide care to older people. And all of those decision need to informed by the first point above – that older people are our CORE BUSINESS – and that we need to do things that prioritize their needs. Both for their benefit and for ours! What was the first step to implement the Geriatric ED Guidelines? DON: The answer to both of these is in part addressed in #1. In fact by the time the Geri ED Guidelines were published, we had already done most of the things that they address. If there were only 1 or 2 guidelines sections (out of 6), what would be your first and second pick? DON: Personally, I think that the most important is the one that addresses staffing: this involves identifying a physician champion. For example, it’s common for ED’s to have an ultrasound lead, a trauma lead, a peds lead, etc., So why do so few places have someone leading care of the 20% of our census, who represent the most complex patients? But probably even more importantly is creating a GEM Nurse role – what could be called generically an ED-based nurse-led geriatric case manager. Expensive, yes. Probably requires an institutional commitment of approximately $120,000/year. But it is essential to have someone who is both doing the work AND developing the agenda. It’s always important to point out that most GEM nurse roles are about 50% clinical and 50% capacity development – i.e. doing all the protocol development, the nurse education, working with IT, going to meetings to represent the ED etc. A hospital or ED cannot expect that major changes in care processes will happen magically or can be done in the spare time of an interested person whose job it isn’t! If you want a senior-friendly ED, it needs to be someone’s JOB to make it happen! So that’s MY first pick. The second would probably be the development of a suite of policies and procedures that specifically address the needs and presentations of older people – a screening protocol for delirium and dementia, a protocol for investigation of delirium, a policy for who can be catheterized (our numbers dropped significantly once we introduced that), making assessment of function (ISAR) a part of the nursing assessment, changing some of the Order Sets so that the medication is more senior-friendly (drop the dimenhydrinate, add the ondansetron; reminder to reduce opioid doses; inclusion of information about non-pharm strategies for agitation management; a protocol for holding patients for further assessment (HUGE). You can’t do all of them at once – do one at a time. But there needs to be somebody driving the train. That’s why GEM Nurse is my #1. The third: attention to transitions of care. An easy one to put in place is some strategy to ensure that Family Physicians are aware of every ED visit by one of their geriatric patients. We still use the primitive fax machine – but every FD is notified by fax of their patient’s ED visit. More sophisticated systems using portals can also be implemented. Number 4 – clinician education. This seems odd since it’s the one that I’ve made the biggest contribution to. However you can educate people as much as you want. If they have no opportunities for implementing those new knowledge and skills, then it’s not going to bring change. 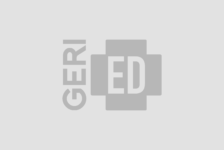 But all of our RNs and most of our MDs have completed all six modules of geri-EM.com and that’s ONE of the reasons we have a more senior-friendly ED. What were the obstacles, and how did you get through it? DON: Money is always an issue – but in fact, most of these changes are not that expensive. It’s not like buying a new MRI or adding another OR. Probably the biggest obstacle will always be institutional commitment. Until decision-makers commit to making changes that prioritize the needs of older people then it will be very difficult to do so. We laid the groundwork for our changes 6-8 years ago through the Geriatric Steering Committee (and several very committed individuals who “drank the Kool-Aid early”!). Somehow, through engaging with key decision-makers (CEO, among others) we were able to move this agenda up to the Board of Directors who decided that geriatric care should be a priority for our hospital. My suggestion is that whenever you’re doing anything of a planning nature try to get attendance from the “highest” person you can find – the CEO, a VP, a director, someone who has budget control (not because you need the money, but because they are the decision makers). We have also been lucky at Sinai (actually it’s not luck, it’s inspired leadership at several levels) that the hospital has always had the ED as a priority programme and not just the basement of the hospital. 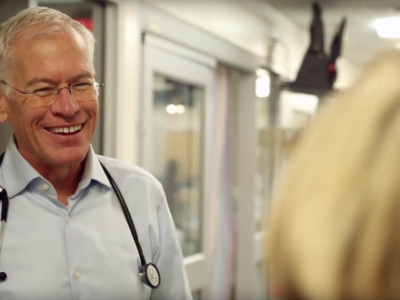 We are seen – accurately – as the hospital’s face to the community and there has always been support for ensuring that the ED gets what it needs to address its challenges. Of those, personally, I would rank # 1, 4, 5, 3, and then 2 in that order at most sites. Although at SOME sites 8 and 9 are probably the most important – which is why engaging with leadership is essential. What are the 3 major differences that this new system did for elderly care? DON: I’m going to put this one first – surprisingly – because it’s the one we often overlook but that has been a HUGE change and improvement for everyone, including old people – and that is staff satisfaction! In our department old people are not seen as “the enemy”: both RNs and MDs have a different attitude and approach from many other departments (at least where I have worked.) I think that a lot of the negative attitudes to caring for older people come from provider perception that their problems are insoluble, that “I” don’t have the knowledge to address them and that “I” don’t work in a system that enables me to do what I need to do. Code STEMI is easy because everything is in place; an 82 yo socially isolated person with a broken wrist is monumentally difficult! However once you provide education****link**** and more importantly once you put structures in place that make doing the right thing (e.g. hold overnight for interdisciplinary assessment****link****) not only possible but easy, then everyone becomes more engaged and committed to high-quality care. We have one of the lowest admit rates for patients > 65 in the province (around 26%). The biggest contribution to this is our approach to holding people for a more comprehensive interdisciplinary assessment – so that people with no medical diagnosis are not being admitted to the hospital just so they can have a mobility and functional assessment and to have their home care needs assessed by SW or home care. If all of that can be accomplished in the ED, then you have avoided a completely unnecessary hospital admit which will undoubtedly be at least two days. The direct to rehab piece comes out of the “transitions of care” – we have a direct link to a rehabilitation centre and a protocol for making those transfers direct from the ED. That means the patient who just needs rehab (and not medical attention) can go directly to the rehab bed (admittedly requiring a prolonged ED stay of up to 36 hours. If you’re only solution to a complex older person’s presentation is “call Medicine for admission” – then Medicine is going to be called a lot! Patient and care-giver satisfaction – there is some evidence that that patients and families identify as valuable is not the right diagnosis or treatment but the assurance that their needs have been thoroughly assessed and addressed. Every Emerg doc knows this! People are happy to go home with the same back pain as they came in with – as long as they feel that they have been taken seriously, thoroughly assessed and reassured that there is nothing “seriously wrong”. Older patients and families value that not only their medical but also social, functional issues have been addressed. And since it’s rare that an older person has a problem in only ONE of those domains, that just seems like good care. What do you think would be the best way to measure the impact of a SFED? DON: Good question – and the answer relates to the last paragraph. Many of the outcomes that we typically measure are institution-centric – what’s good for the system – ED length of stay, admission, numbers of investigations, early ED return (admittedly that one may also be a marker of patient quality) – and the goal is to see all of the go DOWN. However we should also be measuring outcomes that are patient-centric – improved function post-discharge, or at least decreased functional decline; improved sense of well-being (for patient and family) because of addressing previously unmet needs; expeditious return to place of origin – i.e. avoiding unnecessary admission. The problem is that doing the right thing – extended interdisciplinary assessment, for example; or thoroughness of ED-based assessment – may actually increase ED length of stay, for example, and may be perceived as a failure by the institution – but not by the patient. In a public system, victim of major financial cuts, what would be your best argument to convince your administrator that working on a SFE is the best way to spend their money on? What amount of money (approximately) it takes per year to keep this system going? A major unprecedented demographic shift MUST produce some change in systems and processes (imagine if you knew somehow that in the next three years, twice as many babies were going to be born in your hospital each year. Wouldn’t you start changing your women and children’s programmes?) Every businessman and manager knows that when your market changes, you have to do something to change with the market or you’ll fail. Hospitals can wait another five years until we are fully into the peak of the Baby Boom – or start changing now and be seen as a local/provincial leader. Spending some money can often save you a lot of money. How many bed-days per year need to be avoided to pay the $120,000 cost of a GEM nurse programme and to re-configure PT/OT services so that patients can be fully assessed in the ED (we hire 0.4 FTE of PT/ED for that programme). I don’t know the answer – I suspect it’s about 150 — but any manager should. How much money? It may not actually be NEW extra money but re-configuring and re-directing how money is spent. What is your wish list about geriatric emergency medicine for the future? DON: That EDs and especially Emerg clinicians would identify the reality that care of older people is a core priority of the ED. I remember in my previous community hospital, I was frequently hearing colleagues saying (complaining, really) “wow, I saw so many old people on that shift!” Seeing a lot of old people in an ED is not an aberration or an anomaly – it’s the NORM! I would like for focused training and education about old people – not just “oh well, we see a lot of old people, so we must be good at it!” to be standard in EM education (and all other areas). I would like emerg docs to be as good at assessing delirium or a fall as they are at placing a central line or doing an ultrasound-guided lumbar puncture. I would like EDs to see themselves as part of a continuum of care – not just an isolated island of care. And to see themselves as an extension of primary care not just an extension of critical care. I would like every ED to have access to geriatric-focused RN-led assessment and to the possibility of an interdisciplinary assessment (minimum PT/OT, ideally pharmacy) and to high-quality next-day community-based care. 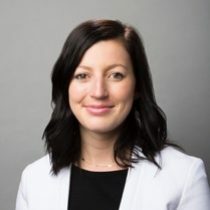 I graduated as an Emergency Physician from Université Laval in 2016 and I completed a Fellowship in Geriatric Emergency Medicine at Mount Sinai Hospital in Toronto in 2017. My specific interests are in teaching, research and management of the ED with one objective: Providing the best care for older adults in the Emergency Department. Have a senior-friendly initiative to share with our community?